Join us every Monday, Wednesday and Friday mornings from 9:00 – 10:00 am as we walk away the pounds with Leslie Sansone’s Walking DVD’s. Dress comfortably, wear sneakers, bring a bottle of water and plan on enjoying yourself. Are you saying YES and enjoying them? As a focal point in this community we have spaces to study, think, read, attend classes and workshops, crafts, and lectures. You can come by and work on our current jigsaw puzzle. You can borrow books and movies and audiobooks for adults and children. If we don’t have the book or movie you want, we can get it from another library within our system and you can pick it up right here. If you have email, you will receive an email when it is available for pick up. We have regularly scheduled activities: a Walking Group on our lower level Monday, Wednesday, and Friday mornings. We have once-a-month meetings: a MAC User Group; a Book Club, and a Quilting group. This is the place to bring your young child or grandchild for Little Bookworms on Wednesday mornings so they may listen to a story, participate in developmental activities, and enjoy a snack … and just have a good time. With your library card you have amazing privileges. If you are in good standing, you can use the library from your own home, with your barcode and pin number. You can read magazines (rbdigital), stream and download music (freegal), borrow books and audiobooks (download) for your electronic devices. 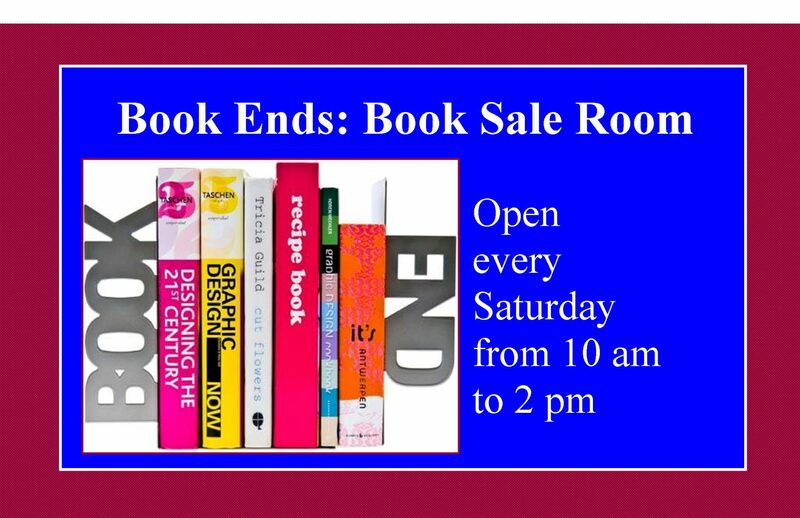 We have dedicated Book Sales rooms that are open every Saturday from 10-2, so you can add to your own collection, or read the book you buy and donate it back. You can stock up for company with your own mini lending library. The possibilities are endless. Bring your friends to the library and show them around. This is a great place to be!